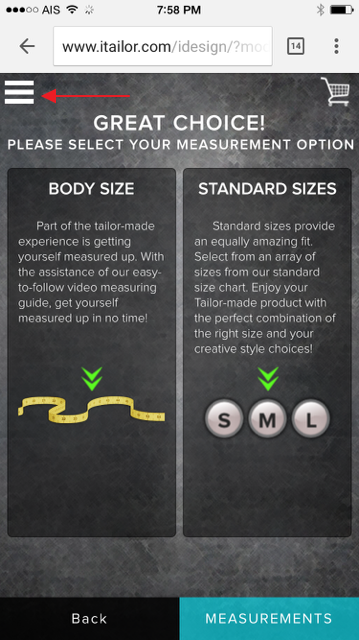 Home » Articles » Do I really need a Tailor Made Suit? We can all agree that Tailor Made Suit are great (and the TV show is not bad either). Men look more dapper in them, and regain a new sense of confidence, instilled by their latest “threads”. But it can go horribly wrong and do just the opposite and enhance a dishevelled look. So now, you’ve just paid good money for your brand new suit, and you’re still not that perfect gent that GQ promised. Insert angry face emoticon! So how do you get a good fitting suit? The simple answer is, you have to go for a tailor made suit! Yes, you can argue that I do just fine with my altered off-the-rack suit. But do you really? There is nothing like a well tailor made Suit that is truly hand crafted to your unique body style and size. See the image below, that has been exaggerated (and obviously replicated from the internet) to support author’s claim that you do need that Tailor Made Suit! Before and After of a Custom Made Suit. True Story! Don’t just take our word for it. We encourage you to do a quick Google search. You will find countless article advising the same. 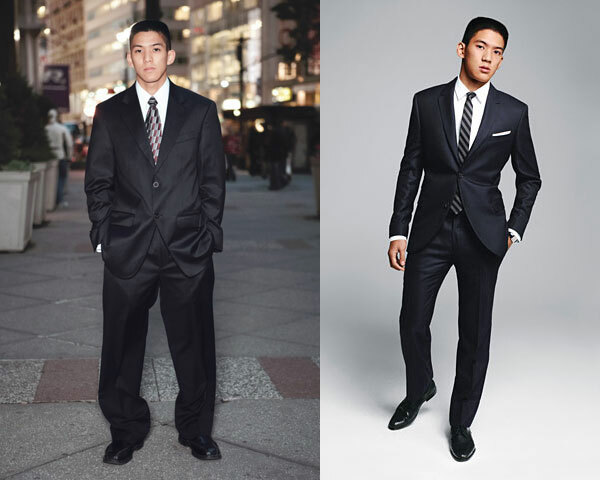 An off-the-rack suit may be altered to your size, but there will always be certain parts that is lacking, often adjusting and accounting only for length, while “making do” with the torso. Now that you agree on the importance of a well tailored suit, let’s move on to other issues preventing you from looking like that well dressed gentleman on GQ that you’ve been following for so long. “But my off-the-rack suit is cheaper and I simply do not have the time to go to a Tailor to get measured“, you often say. 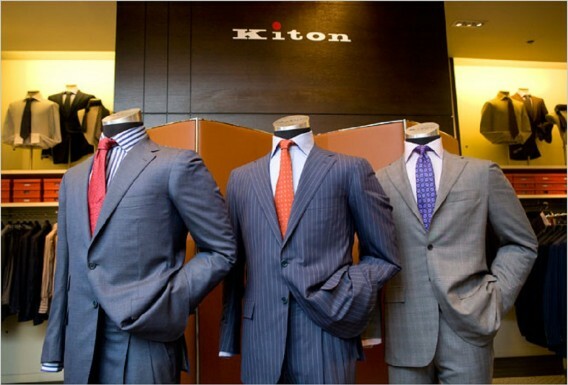 Yes, custom-made suits, or tailor made suit are well known for their price tag. But fortunate for the fashion world, we now live in an age of online shopping. And boy what a world it is – from noble brand house to generic models, you are able to buy products to your liking at a discount. But what if we could go one step further and offer a fashion model that not only offers some of the most attractive prices for tailor-made clothing, but also allows you to self customise, and measure your own suit? All for less than $199? Talk about killing two birds with one stone, eh? Sure, that’s a great idea, but it must be a case of too good to be true. Well not for our brand iTailor.com. Based on over 40 years of tailoring experience, and currently a third generation tailor, our humble establishment has now grown to house over 400 skilled tailors, and is continuing to innovate the tailoring world by offering simple solutions to online self tailoring. 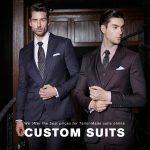 As the World’s Leading Online Tailor, with over 210,000 customers served, and the Highest Ranked Tailor, we are a testament that Quality Tailor Made Suit can be self designed online, and does not have to cost thousands of dollars. 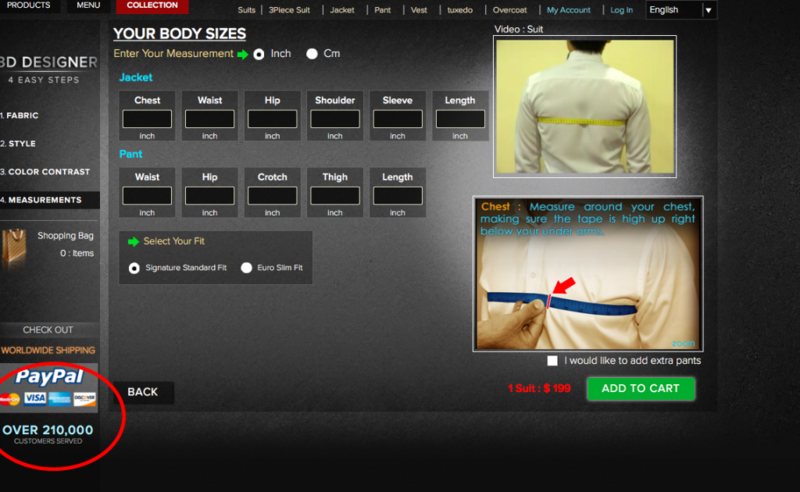 Thus solving the key problem of a) saving time on getting measured b) affordable tailor made suit that fits! 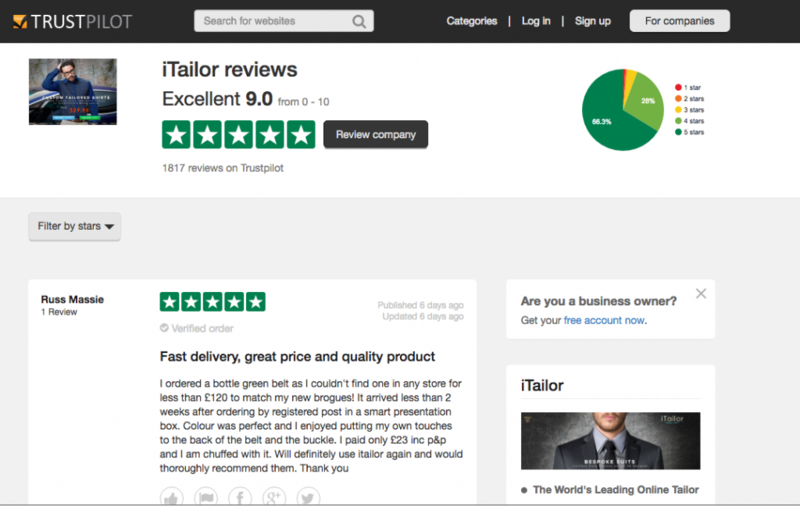 Highest Ranked Tailor on Trustpilo.co.uk! 1. The Fit – If you had to break it down to one reason, this would be the only that mattered. It is better to have a lower quality fabric (not that we are endorsing this), in a suit that is Made-To-Measure, than buy thousands of dollars worth of off-the-rack purchases that does not fit well. Easy Instruction to Measure yourself online! 2. The Style – if you are going custom, you might as well make your suit truly yours. This means opting for the best fabrics, the best construction, and personalising your suit to your liking. These options should include the ability to personalise both the interior of the jacket as well as the exterior of the jacket. 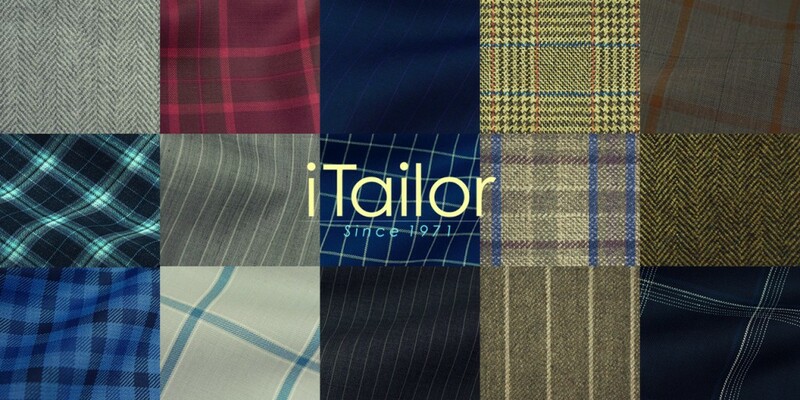 iTailor.com has the Largest Premium Wool Fabric Collection Online! You should be able to opt for contrast selections that matches the latest fashion, or choose lining colours that are bold or conservative to match your personality. In addition, you should also be able to add your own special monograms that really puts the finishing touch on a truly custom-made or tailor-made suit. A Few Of The Design Options On Our Custom tailor made suit and Tuxedos. Statistics prove that we offer Millions of Design possibilities! Men’s tailor made Suit Design Options (Piping & Monogram). Suits that suit your character! 3. The Price – There used to be only 2 reasons for owning a Tailor Made Suit; The Fit and The Style. But now we can feature pricing into the equation, because with our revolutionary state-of-the-art pattern algorithms derived from Saville Row, combined with our innovative real-time online 3D Designer, we leave the designing to you, at prices you can afford. This concept, dubbed affordable luxury, allows you to create your own bespoke products at prices that match, if not better than off-the-rack purchases, or high priced tailor establishments. We also guarantee that we offer the best tailor-made prices online, without charging extra for designing details such as contrasts or monograms. So how exactly do we make $1,000 dollar suits at $159. Stay tuned to find out more in our next blogs as we explore this topic as well as our upcoming topics on What to look for in a Tailor Made Suit. Feel free to leave a comment below, and I’ll get back to you ASAP! Happy Designing. So I purchased a suit and shirt from you guys. Love the suit. The shirt is a little tight I must have measured wrong. I would like to purchase more items from you but your shipping and handling policy always kills the deal for me. I guess I’ve been spoiled by amazon for too long. Any help on this issue. Hi Casey, thanks for the great feedback on the suit. As for the shirt, you can always contact our friendly customer service at contact@itailor.com for more information. We do our best to help customer’s with any measurement issues. 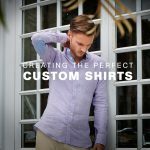 I do understand about shipping, but our shipping policy reflects our commitment to ensuring the fastest delivery time for made-to-measure tailored products. 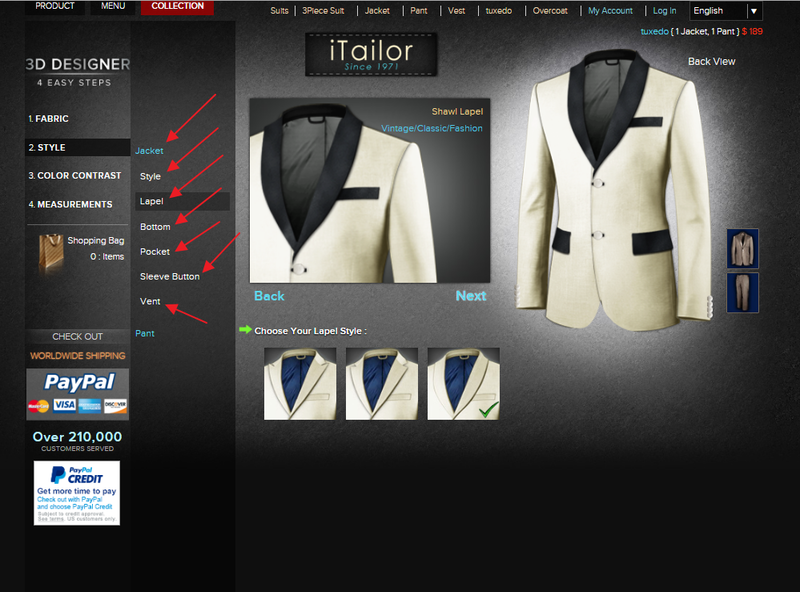 We are still the best priced tailor online, with our all inclusive monogram and contrasting options. Thanks for your continued support Casey! After looking at the difference between good and bad fitting suits, I truly understand the saying, “a picture is worth a thousand words”. It is amazing to see what an off-the-rack suit can do to distort the reality of how your body really looks. I agree that it is worth the time to invest into getting a custom tailored suit. I think that having a custom tailored suit would help my husband feel more confident when he has job interviews. 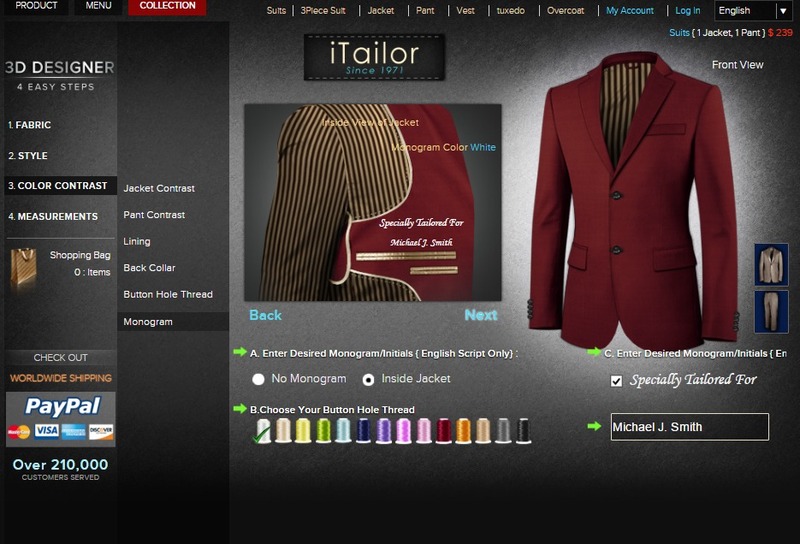 I hope you will enjoy designing a custom-tailored suit online. If you require any assistance, feel free to send me a message or email our customer support at contact@itailor.com.